Aero is a Quarter Horse/Standardbred cross. Her Sire is Tees Venture owned by Larry Banman and her dam was Kelsey Rose, Aero was born at the Kinkora Inn. Sarah Bustin (her owner) died in a car accident and her sister Jessica took over Aero’s training. She has the horsenality of a red mare, and can be a challenge on the ground. But when Jessica had guests Aero was put to work. The summer Jessica had the CSJ position at the Sanctuary she rode her most days from Elliot Mills to Handibear Hills morning and evening. Jessica is an electrician, and there was a job waiting for her in Alberta, so she left Aero with me to sell. I loved the mares conformation and her incredible stride, to me she was a do everything mare. What potential I thought. But no one else saw it, until Helena came to the Sanctuary to ride with Owen. 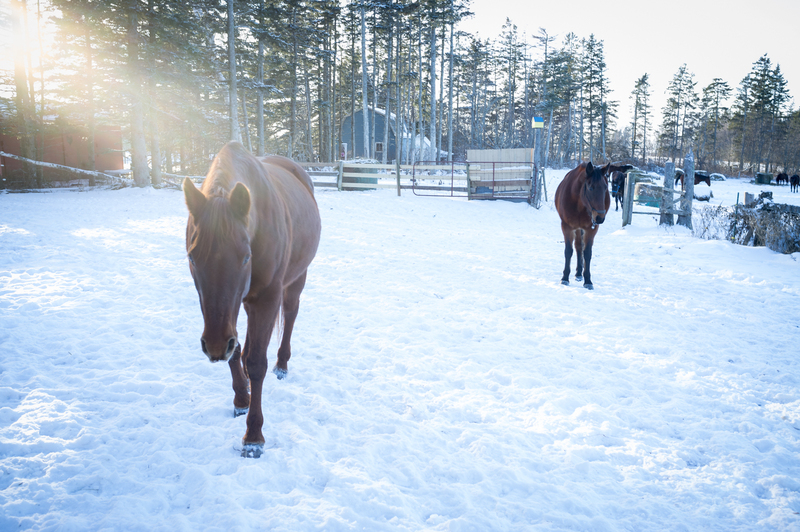 Helena bought her and Aero’s story continues at the Sanctuary under her training and riding expertise.